Without a doubt, Australia is one of the most beautiful countries in the world and is on most traveler’s bucket lists and Australia’s amazing scenery, beautiful beaches, outback, and stunning vibrant cities are the reason why! 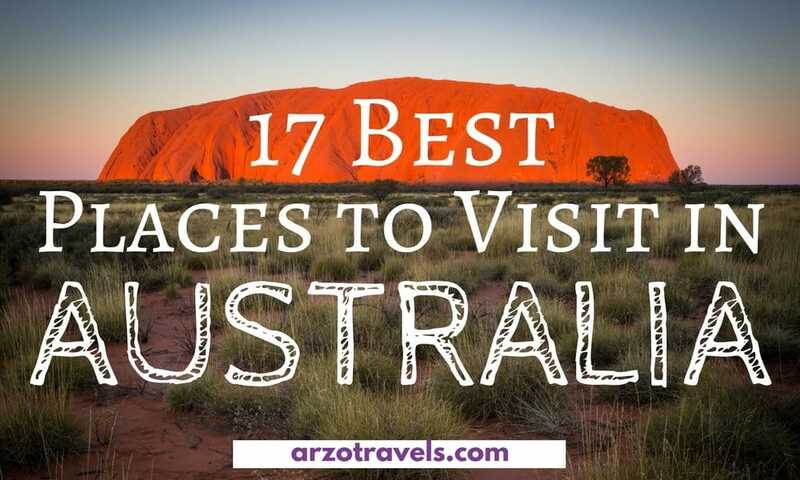 There is a lot to see and do in Australia, so if you are planning a trip down under and you are not sure which are the best places to visit in Australia, here are some top tips for your visit Oz. Ready to find out about the very best places in Australia? Here are the top recommendation by some fellow travel bloggers and me. Noosa is not only a beautiful part of the Sunshine Coast, but with the Noosa National Park, Main Beach, and Noosa River, it is one of the best places in Australia to get out in the great outdoors. So, it will come as no surprise that I think it is one of the best places to visit in Australia. 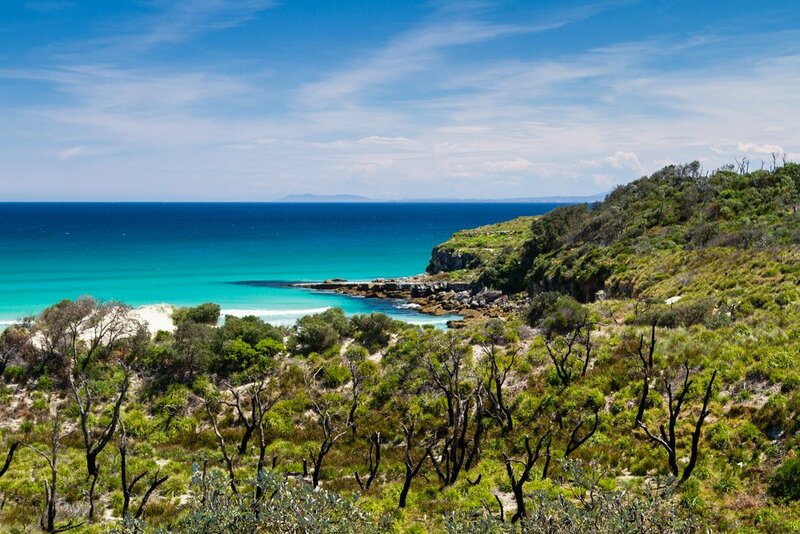 One of the most beautiful places to see in Australia is the Noosa National Park which offers both picturesque coastline as well as a variety of walking tracks from easy to moderate. Tracks go through the rainforest and woodlands and of course, along the gorgeous coastline. Walking tracks start from a few hundred meters to 5.4 kilometers. The calm, crystal-clear waters of the Noosa River are just ideal for getting out and exploring in a kayak. You can bring your own kayak, hire a kayak from one of the various vendors along the river or join a kayak tour group. My favorite thing to do is to hire a kayak and paddle it right out to the mouth of the Noosa River where you will find many sand islands where you can hang out on your own deserted island for as long as you like. Of course, with the various surf beaches along Noosa other popular activities include swimming, surfing, boogie boarding and even snorkeling around some of the secluded bays around the National Park. There are also several pathways around the area perfect for biking, walking and running. When you have had enough of the outdoors, head to fancy Hastings Street for something to eat and some window shopping. In my view, the place to stay is along the Noosa River in Noosaville in a riverfront apartment. Skippers Cove Waterfront Resort or Noosa Harbour Resort would be ideal. Hobart is a quaint city on Australia’s island state of Tasmania and is a great Australia tourism destination. 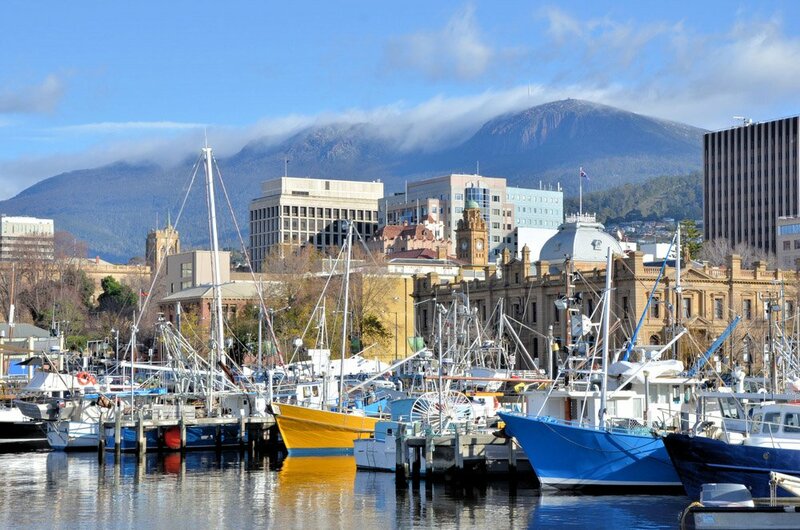 Hobart’s position on the Derwent River makes it so idyllic it is one of the best vacation spots in Australia. For travelers looking to explore the history of downtown Hobart, I recommend a walk through Battery Point. Battery Point takes up the southern part of the city’s harbor (just south of the CBD). The houses here were built by the owners and sailors of the shipyards. Hampden Road’s small cottage-like residences and gardens evoke the British style that you’d expect from this former penal colony. At Salamanca Place, the oldest part of the city, enjoy local shopping and fabulous pubs. On Saturdays, this is home to the Salamanca Markets. If you have a car, you must visit the top of Mt. Wellington/Kunanyi. Along the route, a stop for a tour at (circa 1824) Cascade Brewery is possible, or you can just have a flight of samples whilst enjoying the view from the gardens. The steep drive up the face of the mountain is not for the faint of heart, but the rewarding views of downtown Hobart and surrounds are worth every anxious moment! Make sure you pack an extra jacket for the pinnacle, as it tends to be much cooler and windier than downtown Hobart! If you’re looking for something free to do, the Royal Tasmanian Botanical Gardens have numerous examples of native Australian flora. All in all, Hobart is packed with Australia tourist places for you to visit. Australia is famous for its pristine beaches. The south coast of New South Wales could, arguably, have some of the best. Jervis Bay is our favorite spot, with spectacular beaches and national parks dotted all along the coastline, with a small-town feel. There are no high-rises here, and the beaches remain untouched by mass tourism. You can’t really go wrong with any of the beaches along Jervis Bay, but the absolute best-of-the-best is Hyams Beach. 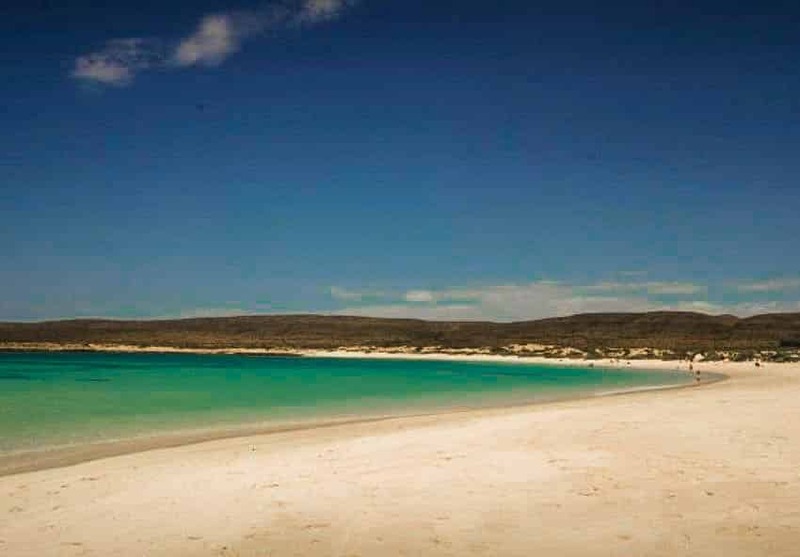 According to the Guinness Book of World Records, Hyams is said to have the ‘whitest sand in the world’ and having been almost blinded by it firsthand, we would have to agree! The only thing that could be as impressive as the white sand, is the array of blue and green shades of water. Jervis Bay is also a favorite for whales during migrating season, and you are likely to see dolphins there throughout the year. You can enjoy the picturesque beaches from land and sea, with plenty of natural walking trails, whale watching cruises, dolphin tours and kayaking excursions on offer, but as the saying goes, ‘the best things in life are free’, and the beaches here are the best! Grab your sunscreen, roll out your towel, and soak up the relaxed vibes on the best-unspoiled beaches along the south coast of New South Wales! 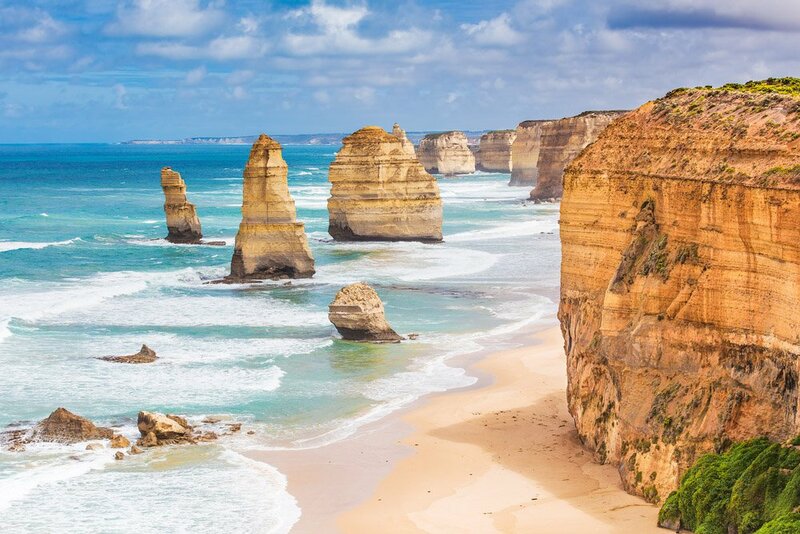 Australia’s Great Ocean Road is one of the best places to see in Australia and follows one of the most iconic stretches of coastline in the world. A stunning nature drive, the road winds through lush rainforest and beside pristine beaches on its 240-kilometer route along Australia’s southern coast. The most striking Australia attractions along the way are the Twelve Apostles and London Bridge rock formations. Though worn by the weather and time, these natural wonders rise out of the Southern Ocean dramatically and are the main reason most people visit this area during their Australia travel. Get off the beaten path and discover some of the lesser known sites like Wreck Beach near Loch Ard Gorge where you can you can see the remains of shipwrecks washed up on the shore. The treacherous coastline claimed many victims but is now protected by the iconic Cape Otway lighthouse. Here you can learn about the history and culture of the area. If you would like to see Australia’s native koalas in their natural habitat, you can see them at Kennett River by taking a leisurely stroll along a bush path. Many visitors take a long day trip from Melbourne to explore the Great Ocean Road but if you spend a few days exploring on your own you will uncover many more treasures of this must-visit region of Australia. 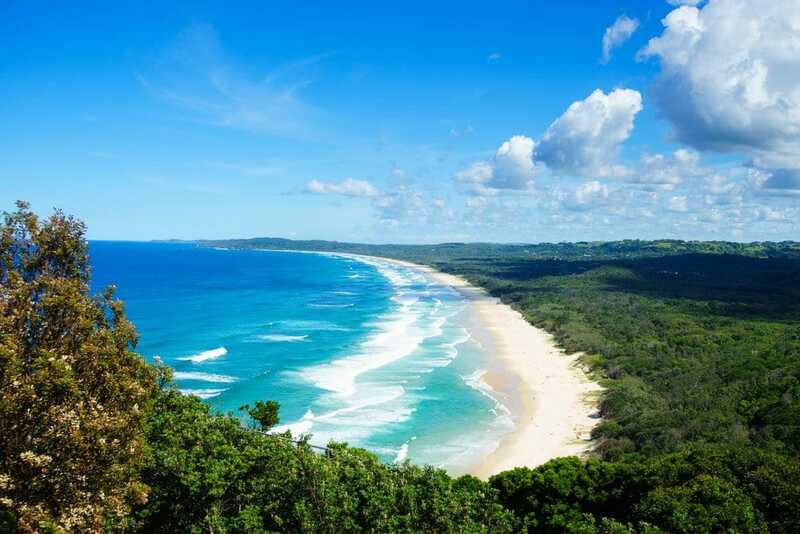 Byron Bay is a well known, beautiful part of Australia’s east coast, located at the top of NSW, near the border of QLD. Known for its beautiful beaches and surfing breaks, this seaside town has something for everyone. Byron’s climate is semi-tropical and often boasts warm, sunny winter days so it’s a great place to visit all year round. If you are looking for high rise hotels you won’t find them here but there are certainly some luxurious places to stay. The charm of Byron, though, is its relaxed feel. Lots of colorful characters visit Byron or make it their home because of this and there is a real hippy, community vibe. Some of the best things to do in Byron are in line with this hippy, community theme, celebrating the natural landscape. The beach really is a highlight of any trip to Byron Bay. The walk from Main Beach, north to Belongil is a beautiful one but there are many gorgeous beaches in the area. As a surfing town, there are a few schools that offer lessons and a variety of breaks to surf depending on skill and confidence levels. A well-known landmark and icon here is the Cape Byron Lighthouse. The lighthouse stands on the most easterly point of the Australian mainland and is Australia’s most easterly lighthouse. There are some great walks up to the lighthouse or you can drive up. There is an abundance of amazing cafes and bars to choose from with a focus on tasty, healthy food. If you are in Byron Bay on the first Sunday of the month, the markets are well worth a visit. Held at Butler Reserve they have a wide variety of stalls, food trucks and live music so it makes for a really fun morning. Phillip Island is about a two-and-a-half-hour drive from Melbourne and it’s a great place to visit for a day trip or better still, for the weekend. It’s a popular place for Melbournian’s and many have holiday homes there. One of the main Australia tourist attractions here is the Penguin Parade and it is regularly referred to as Victoria’s number one tourist attraction. 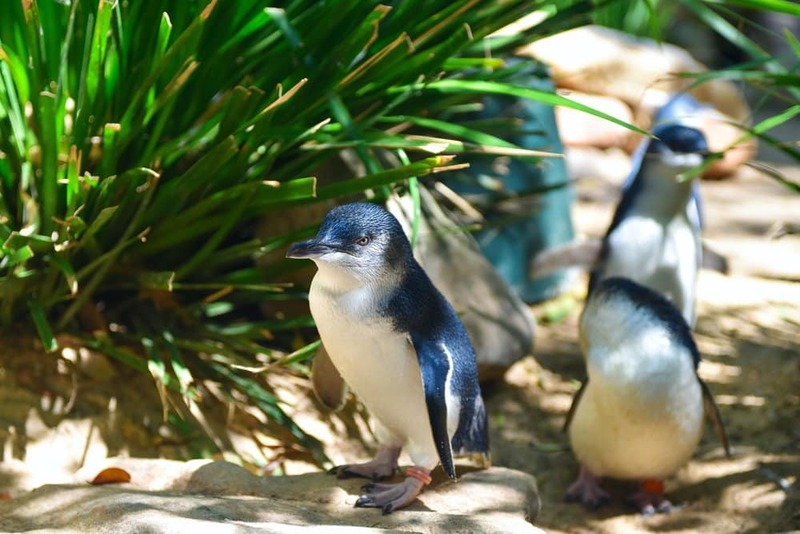 Many tourists from around the world visit each night to watch the little penguins (formally referred to as fairy penguins) waddle their way from the water to their little nests up in the beach scrub. Phillip Island has much more than the penguins though, Churchill Island is a working farm where city folk get to experience what life on the farm would have been like in the 1800’s. One of the most interesting places in Australia, the historic homestead is as it was in the late 1800’s and is a great insight into the lives of our ancestors. The kids even get to milk a cow, crack a whip and shear a sheep! Another great experience for tourists is the Koala Conservation Centre, this is a home for sick and injured koala’s and the boardwalk is built for optimum viewing of our famous native marsupials. If you get there early in the day you might just see these furry little favorites up and about and not asleep! They do sleep 22 hours a day though!!! As with many tourist destinations in Australia, there is more to Phillip Island than you think so give yourself at least a few days to check out all it has to offer. 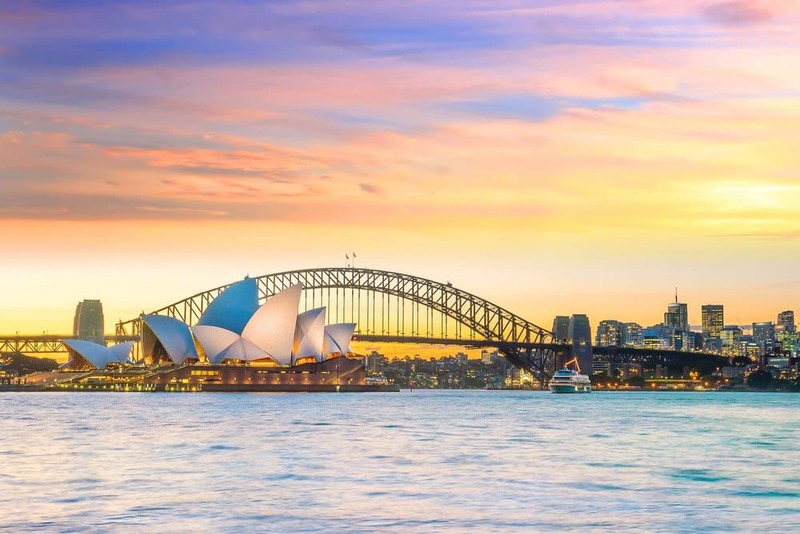 Sydney is such an iconic city with many amazing things to do and see but what most tourists do not know is the utterly stunning peninsula a little over 30 kilometers North of Sydney. On the far end of the peninsula, there is Palm Beach which is also really well know because of Australia’s famous tv-show Home & Away that is recorded in this cute little beach town. As the peninsula gets really narrow at the tip there are two beaches to choose from within only 50m: one on your left side and one on your right side. The inner beach on the bay side is very popular with windsurfers and the ocean-facing beach is a popular surf spot. The best thing about this place is the hike up to the lighthouse on top of the cliff. It will only take you about 20 minutes uphill and can be a sweaty walk in the hot and humid Aussie climate but the 360-degree views are incredible. There is a secret cave that can be explored on the bay side and some amazing instagrammable spots for super cool photos. Palm Beach is easy to get to as there are even public buses that go there from the city center and on Sundays, it is only $2,50 for the return trip. This place is definitely an ‘off the beaten path’ destination to see while in Sydney and a must do on your trip around Australia! Before I went to Australia, I had never heard of Wilson’s Promontory National Park. It was only towards the end of my Adelaide to Melbourne road trip that I became aware of it as one of the best places to go in Australia. Despite my lack of prior knowledge, Wilson’s Promontory turned out to be one of the places I visited during my time in Australia. It is one of the most beautiful national parks I have ever been to! Wilson’s Promontory is the southernmost point of mainland Australia. Due to this, there are a number of great beaches to check out while you’re there. You can head to Squeaky Beach, which is one of the quirkier beaches I’ve been to. Small grains of quartz in the sand mean that every step you take emits a squeaking sound, hence the name. It’s a must-visit if you go to Wilson’s Prom. There is also Whiskey Bay too, which has giant boulders located at either end of the beach. They are perfect for climbing if you’re bored of relaxing in the sun! Wilson’s Prom is home to an abundance of wildlife. Don’t be surprised if you spot a number of kangaroos, wombats and much more while you’re there! 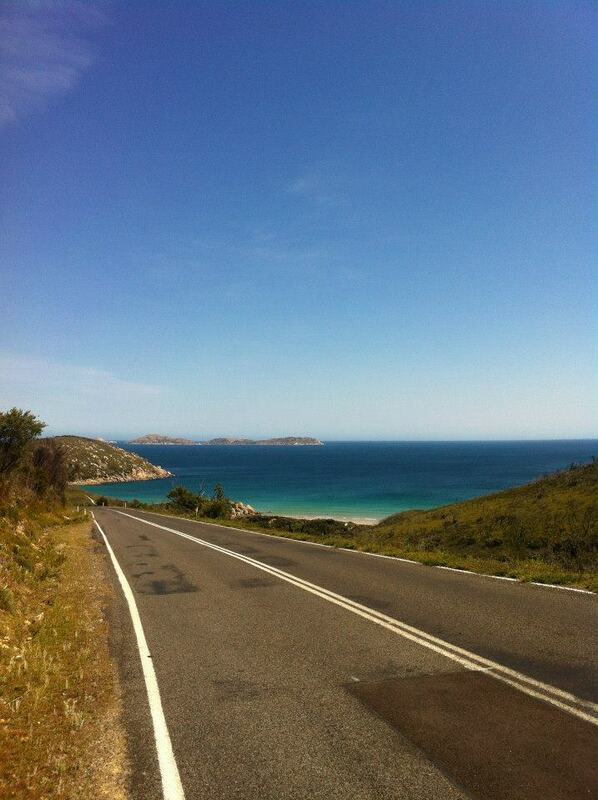 Wilson’s Prom may not be the most well-known destination in Australia, but it’s definitely one of the best! It’s the perfect place for a weekend getaway from Melbourne! If you are planning a trip through the state of Victoria, Australia, you’re probably aware of names such as Melbourne or Great Ocean Road, or even Phillip Island… But have you heard of Sovereign Hill? 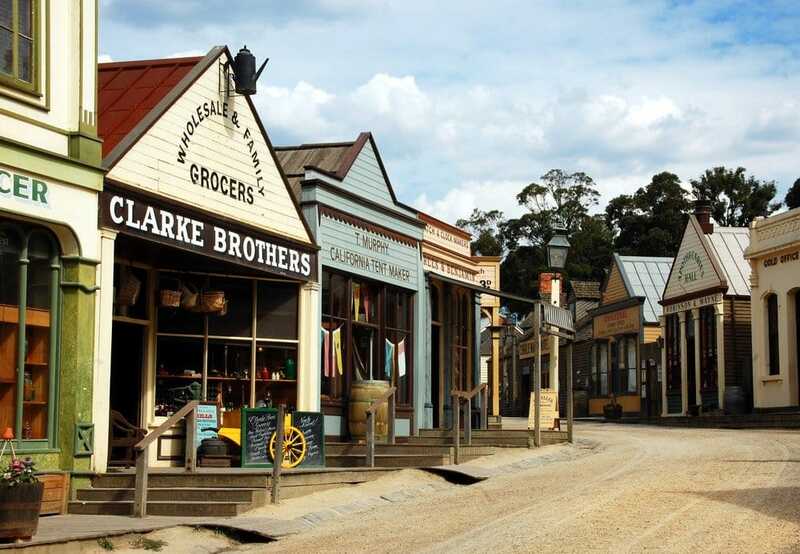 Sovereign Hill is in the heart of the Victorian Goldfield Country, only two hour’s drive from Melbourne. Quite simply, it is an outdoor museum, the comprehensive reconstruction of a Victorian Gold Town around 1850. Sovereign Hill has some 60 buildings, including two pubs, a theatre, gold mines, and even a school. The shops are mostly lined along the main street and include a blacksmith’s, photographic rooms, a printing shop, a grocery store, a pharmacy, a clothing store, an undertaker, a foundry, a bowling saloon, a gold museum, a wheelwright and candleworks. The great thing is that all the stores and workshops are staffed by people in costume who operate them as it was done in 1850, so you get a very direct experience and you can ask questions and even try your hand at some of the crafts. Sovereign Hill is very well done and I didn’t find anything tacky or Disney-like about it. Even traveling on my own, I found it educational and entertaining. In order to do it justice, you do need to spend a whole day there. There is so much to see and do, and several options for food. Ready to travel back in time in Victoria? Canberra is the capital of Australia and one of the world’s up and coming travel destinations. Named in the Lonely Planet’s ‘Must Visit City List’ in 2018, this city is on the rise. 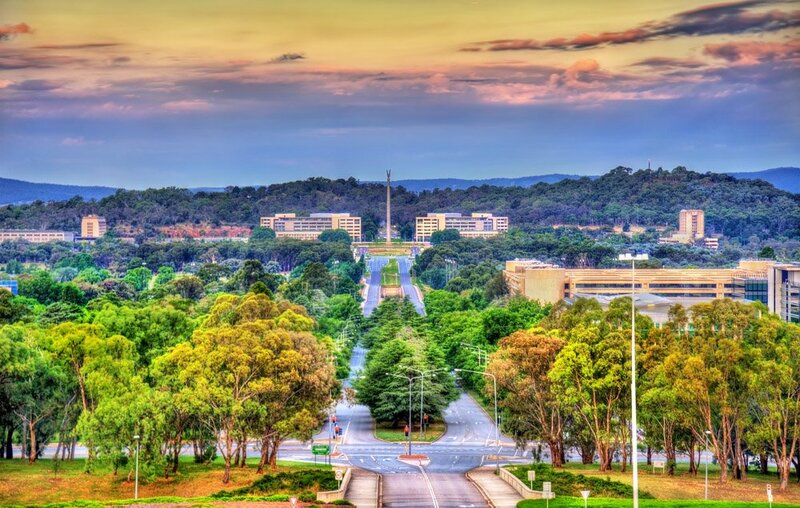 Known as the Bush Capital; Canberra is full of beautiful natural Aussie bushland. This means that there are plenty of hiking and bike tracks that intertwine the different areas of Canberra’s suburbs into the city. It isn’t uncommon to see kangaroos jumping around the nature reserves in the suburbs. At the nature reserve, Tidbinbilla, along with the kangaroo there are koalas, emus, echidnas, and the elusive platypus that roam freely. Although Canberra isn’t an old city, it certainly holds a lot of history and culture. With places like Old Parliament House you can get an understanding of the political history of Australia. The Australian War Memorial is the best memorial Australia has to offer in terms of honoring Australia’s past and current soldiers and peacekeepers. You could easily spend a couple of days here getting lost in this history. During the springtime there are two stunning flower festivals called Floriade and Tulip Top Gardens. They are both world class exhibition that draws in crowds from the surrounding land. Port Stephens is a vast natural harbor on the New South Wales coast, three hours north of Sydney. Out of all the places to go in Australia, this part of Australia has more than its fair share of amazing coastline, but even here Port Stephens stands out. 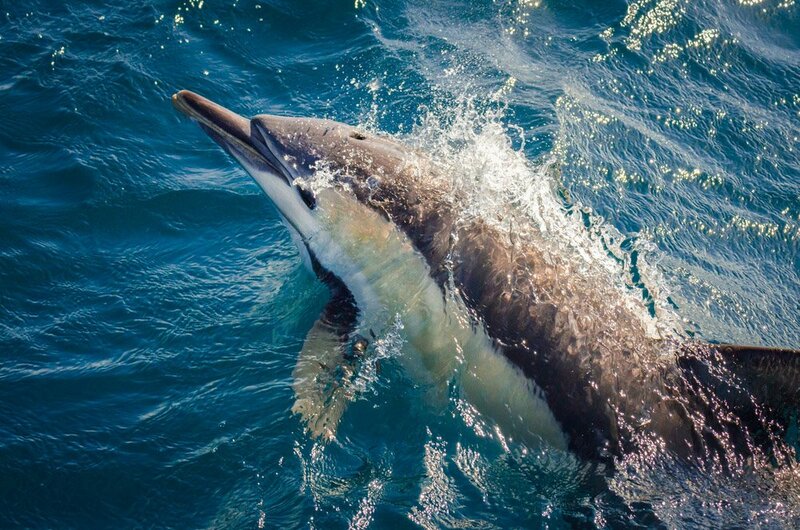 It’s known as the dolphin capital of Australia, mainly because over 100 of them live in the harbor, and one of the local cruise operators claims a 99% success rate in dolphin sightings on their trips. Boats often hang a boom net out of the back, where you can hold on to the side and sometimes be joined by dolphins swimming alongside you. Whale-watching cruises also run out of Port Stephens’ main town, Nelson Bay, between May and mid-November when humpback whales swim along the coast on their seasonal migrations. This together with the abundance of dolphins makes Port Stephens one of the best holiday destinations in Australia. The views underwater are as spectacular as the scenery above, and there are some great snorkeling and diving spots near Nelson Bay. Several operators also run diving trips offshore. One of the best coastal walks in the area is the 20-minute climb up through coastal rainforest at nearby Tomaree Head for the glorious view over the pristine Zenith Beach and its neighbors, Wreck and Box beaches. Less than 20 km from here, you’re in a different world – Stockton Dunes, at 32 km long, the largest moving sand mass in the southern hemisphere, a mini-desert accessible by four-wheel drive only. Here you can take a tour of the dunes, including Tin City, some remarkable fishermen’s shacks in the middle of the sands, or try some sandboarding. 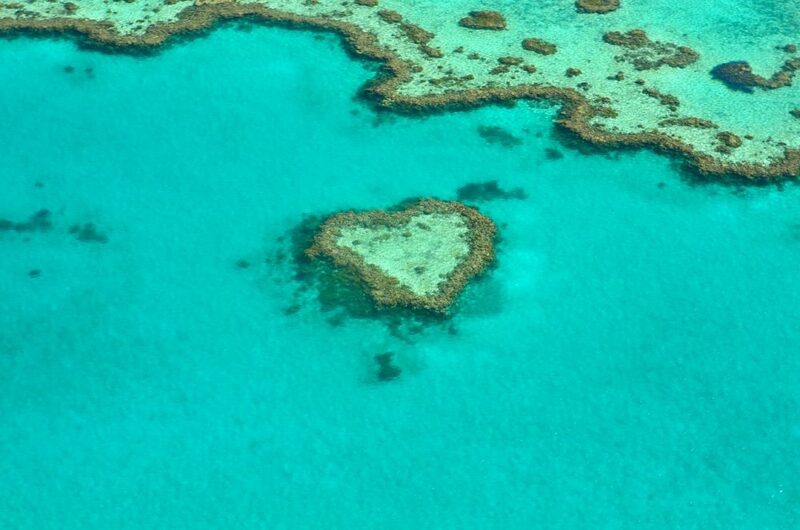 One of the most incredible experiences you can enjoy in Australia is a scenic flight over the Heart Reef – a perfect heart-shaped coral formation situated in the magnificent Great Barrier Reef. Flying to the Heart Reef includes seeing many other renowned Australian travel gems such as Whitehaven Beach (a seven km long, white sandy beach) and the Whitsunday Islands from a mind-blowing perspective. From start to finish, this value-packed excursion will have you gasping at another level of natural beauty. For easy access to these and other amazing tours, consider staying at Airlie Beach which is known as the gateway to the Whitsunday Islands and the Great Barrier Reef. 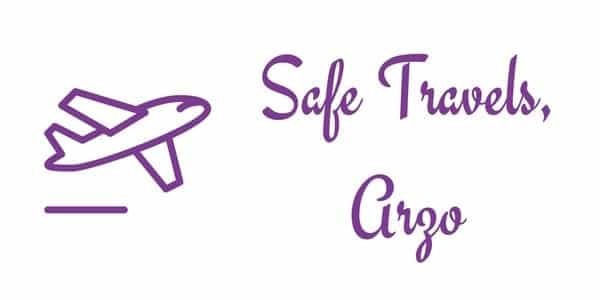 Tours booked through scenic flight operators such as GSL Aviation and cruise operators such as Cruise Whitsundays include a courtesy bus to pick you up at your hotel in Airlie Beach. Consider booking an apartment stay at Mirage Whitsundays – this stunning accommodation is close to the best bars, restaurants and boutique shops in the area. It also features convenient access to the scenic boardwalk from Airlie Beach to Cannonvale and Airlie Beach Lagoon – all must-visit spots when you find yourself in one of the most beautiful places in Australia. Ningaloo Reef is a beautiful region along coastal Western Australia. It is in the middle of nowhere, or more specifically, 1200km north of Perth. You can access the region via an epic and highly adventurous road trip. You can also fly close to this area into the Learmonth Airport if time is limited. Ningaloo Reef is known for its water activities, amazing marine life and unspoiled natural environment. The opportunity to snorkel or dive should not be missed. Depending on the time of year, Ningaloo Reef has seasonal visitors with the whale sharks being the most famous. During the whale shark season of March to August, the town of Exmouth will swell with tourists vying for a glimpse of these beautiful creatures. During June and October Manta Rays are often present. Turtles are also found in Ningaloo Reef year-round. If you wish to see nesting behavior or eggs hatching your best change is from December to April. During this period the area can also experience cyclones so it is important to keep an eye on the weather. Hiking in the area is also very popular. A beautiful hike is through the gorges surrounding Yardie Creek. There is also the chance to go up the river to get a closer look at this beautiful area. Your chance of seeing iconic Australian mammals such as emus or kangaroos, walking down the road is a given. It is a beautiful and unspoiled region in Australia. While most people head straight to the beaches and cafes in Sydney and Melbourne, Australia’s Red Center, which is filled with Australia points of interest, should not be missed! Alice Springs is the third largest town in the Northern Territory and one rooted in a deep pioneer history. Alice, as it’s often called, is a modern town with a strong Aboriginal culture and history. The town earns its name as one of the most famous places in Australia as it serves as the starting point for many trips to Uluru, the large sandstone rock formation that is iconic to the Australian Outback. Uluru is a sacred site for the Pitjantjatjara people and should not be climbed, but the ten-kilometer path around the formation is a wonderful opportunity to get up close with the important landmark. 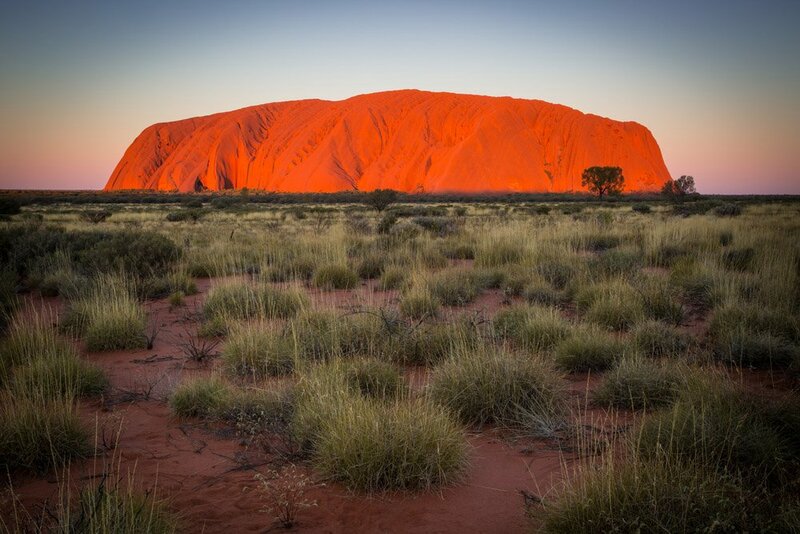 Don’t miss sunrise at Uluru as it is truly a magical moment. There is plenty to do in Alice Springs as well from the historic Telegraph Station to the Kangaroo Sanctuary where you can hold orphan kangaroo babies! Queensland’s capital, Brisbane, has plenty to offer. In recent times, Brisbane has come of age and has become a city offering plenty of attractions. However, one of the best things about Brisbane is it’s a gateway to the South East Queensland countryside, which is fun to explore. A fabulous way to experience the region around Queensland’s capital is to go off-road. Rent a 4WD vehicle and head off on an adventure that will make your friends envious! There some fabulous 4WD tracks in South East Queensland, offering a range of driving adventures, from easy to medium. You don’t have to be an experienced 4WD expert to have a great time. On your 4WD adventure, you’ll experience beautiful beaches, challenging river-crossing and lush mountain ranges. Visit country towns and meet the locals; have a beer in a real Aussie pub or gaze in awe at pods of humpback whales swim past deserted beaches. Many of these 4wd tracks are close to Brisbane and so Brisbane is one of the top spots to visit in Australia. Okay, and here are my tips when visiting Australia…. One of the best cities to visit in Australia is undoubtedly Sydney, the capital of New South Wales. It is located on the east coast and one of the most famous destinations in Australia; if you ask me, Sydney is probably one of the most beautiful cities in the world. If you are in Australia you have to pay a visit to Sydney, the secret capital of Australia. While most people know the iconic Sydney Opera House and the Harbour Bridge and doing a boat cruise on the water passing them is a must-do activity in Sydney, you can also cross the Harbour Bridge which isn’t cheap but is probably one of the highlights in Sydney. When you visit Australia, you’ll find that Sydney also has a lot of the greenery and numerous parks which are very inviting and perfect for resting and just soaking in the beauty. Of course, you have to visit the world-famous pool that is located at the beach, the Iceberg Pool with great views of one of the most famous beaches in the world, Bondi Beach and is a must-see place in Sydney. Sydney is also great for just walking. You can stroll along the promenade, head to Darling Harbour or visit the Royal Botanic Gardens. If you want to rest, why not go and see Manly or Bondi Beach, or do a day trip and explore the stunning scenery of Sydney which includes the blue mountains. One of the best places to travel in Australia is to the Blue Mountains. If you are in Sydney you definitely have to plan in a visit to the stunning Blue Mountains which are located to the west of Sydney and have incredible scenery. Make sure you keep an eye out for the Three Sisters while you are there. The three sisters are a rock formation in the Blue Mountains and I haven’t seen anything like it anywhere else in Australia. It is also a great place for hiking and while I visited the Blue Mountains at a time when Instagram didn’t exist, this is actually also a great place for instagrammers to get great shots of this beautiful area. Here you can also learn about Aboriginal culture and do lots of activities like canyoning and climbing as well as a range of other outdoor activities. 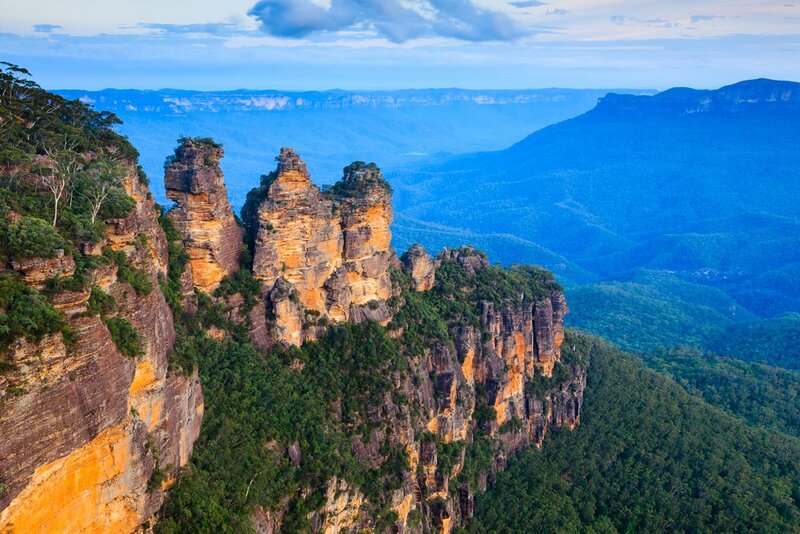 It is also possible to stay overnight in the Blue Mountains National Park. The Great Barrier Reef is probably at the top of most people’s list of what to visit in Australia and this is actually still on my bucket list! It was quite a bummer when I couldn’t visit the Great Barrier Reef and thus, I was even more jealous to hear about my sister’s experience at the Great Barrier Reef, one of the most beautiful places in Australia or probably even in the world! The Great Barrier Reef is one of the most important things to visit in Australia. I say that without having visited it, but these are a few bucket list activities for the Great Barrier Reef. It is on the coast of Queensland, a beautiful state in Australia, and it is even visible from outer space. It is home to countless underwater species but the largest coral reef in the world has more to do, you can dive (which I personally wouldn’t) but if you don’t want to snorkel or dive you could take a speedboat tour or even skydive. You can see turtle hatchlings, spoil yourself with very abandoned places, explore the rainforest or go water rafting. Hot air ballooning must be amazing in Cairns where you can see the Great Barrier Reef so there’s a lot to do in Australia, especially for those who like to do a lot of adventures outdoors in or close to the water. 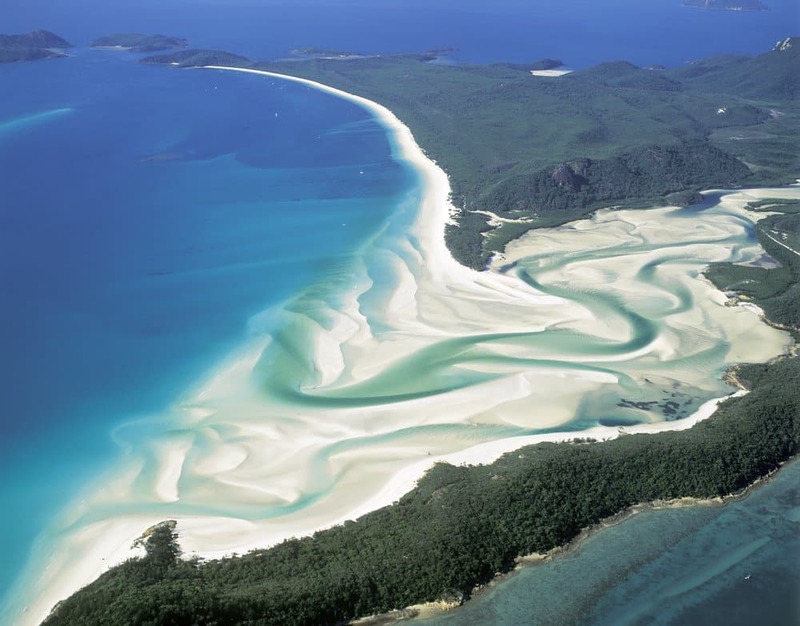 Most of all you should plan a visit to Whitsunday Beach, one of the most beautiful beaches in the world where you can take a seaplane flight and discover the best beach from the air. Last but not least… If you plan a trip to Australia, you would miss out if you do not have Melbourne only our Australia itinerary. Melbourne is actually like my second home and although Melbourne and Sydney are always in competition (especially among the inhabitants) and Sydney is probably one of the most wonderful cities in the world, Melbourne is the one that feels like home to me. This means it is near the top of my list of Australia destinations you must visit! 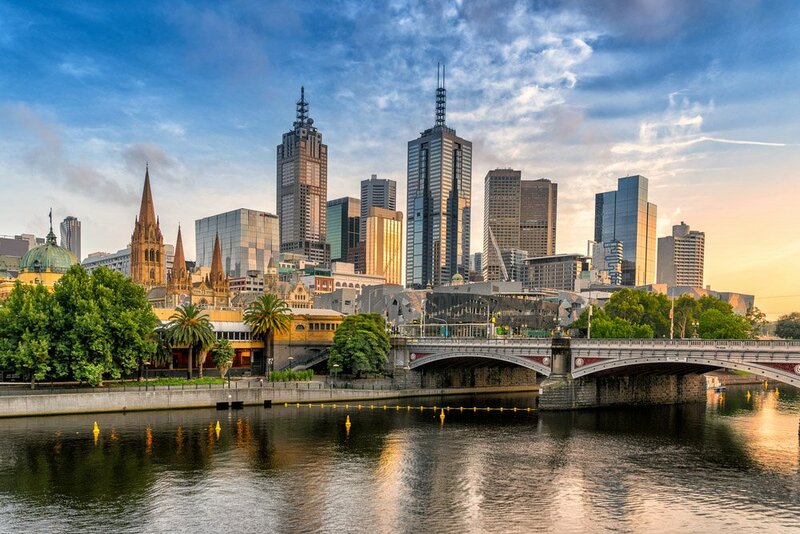 There is also tons to do in Melbourne – which is the second biggest city in Oz – and since Melbourne is very famous for sports you have to at least watch a football game my family and cousins went for Essendon. Watching it at the Melbourne cricket ground is obviously a highlight but there is so much more to see and do in Melbourne even if you’re not interested in sports. This includes the casino which is probably the best in all of Australia; the Crown Casino is big! There are lots of clubs and places to walk and dine located on the south bank so it is one of the best Australia tourist spots. St Kilda beach and the area around it is another of the gorgeous Australia places to visit. It’s great to swim and relax or in the evening it’s a great place to go for a drink or go clubbing. Like Sydney, Melbourne also has a lot of nature to chill out in, for example, the Royal Botanical Garden. While you’re there, don’t forget the beaches that are in Melbourne which include Mordialloc Beach. One of the things that you should definitely not miss, especially if you want to go out at night is Chapel Street, a very alternative shopping street with lots of cafes, fashion brands, shops and clubs to enjoy. What do you think? Have you ever been down under and if so, what is your favorite place in OZ?